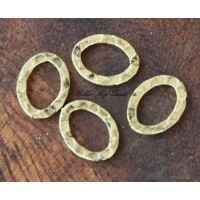 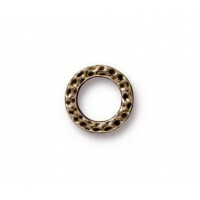 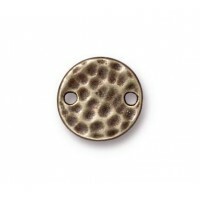 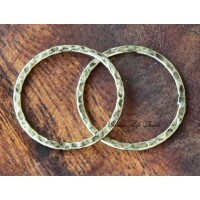 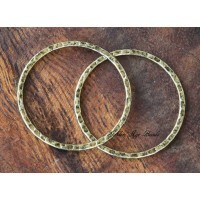 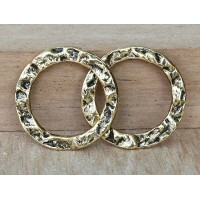 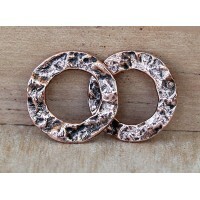 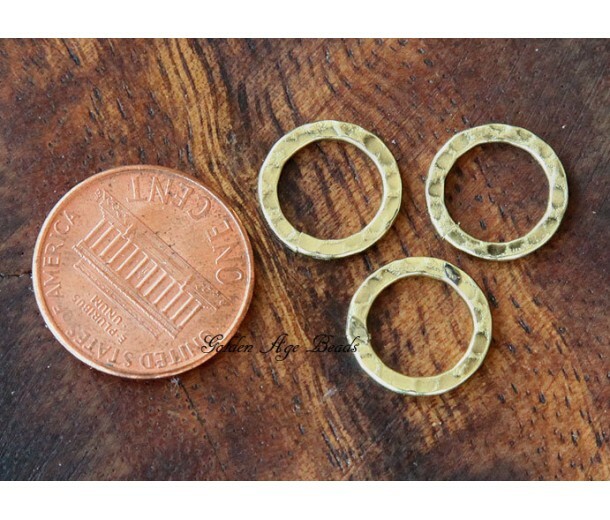 These sturdy round components feature an antique gold finish with textured surface on both sides. 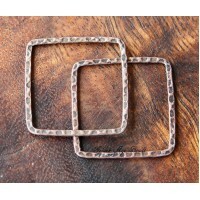 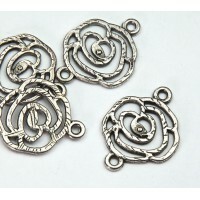 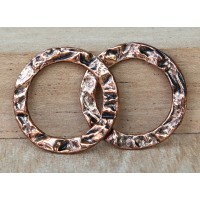 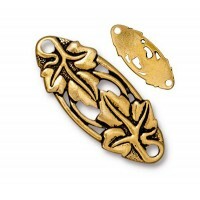 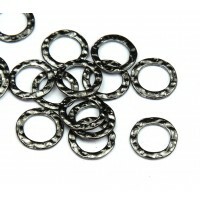 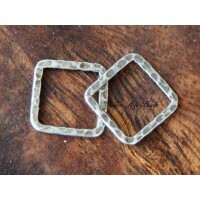 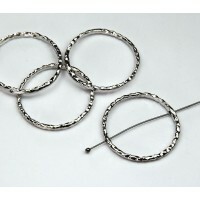 They can be used in a number of ways: as linking rings, charms, in key chains or dangle earrings. 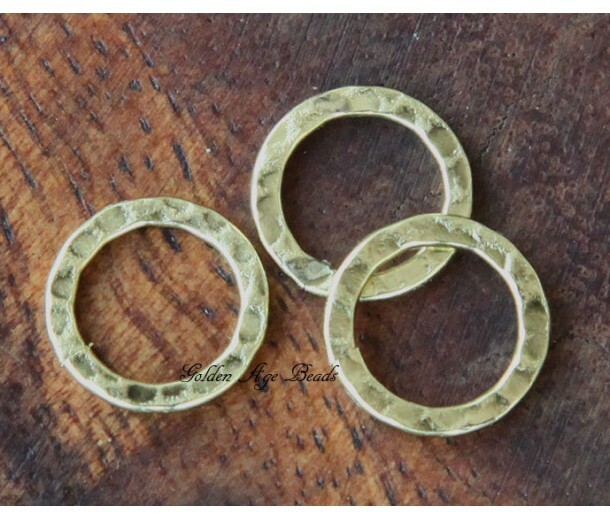 It’s amazing that one small thing can be so versatile!